TENANTS ABOUT LOCATIONS CONTACT DABAO NOW! HOME TENANTS ABOUT LOCATIONS CONTACT DABAO NOW! Kim San Leng has been in operations since 1965. We've come a long way, and we're now a household name amongst Singaporeans. Mr Hoon Thing Leong has assumed the responsibilities of head of Kim San Leng for the past generation. A deep thinker, Mr Hoon constantly thinks of how to attract more consumers to the franchise, and embraces changes in society. Mr Hoon is a forward thinking leader, that strives to integrate tradition with change. Kim San Leng is proud to have Mr Hoon at its helm. 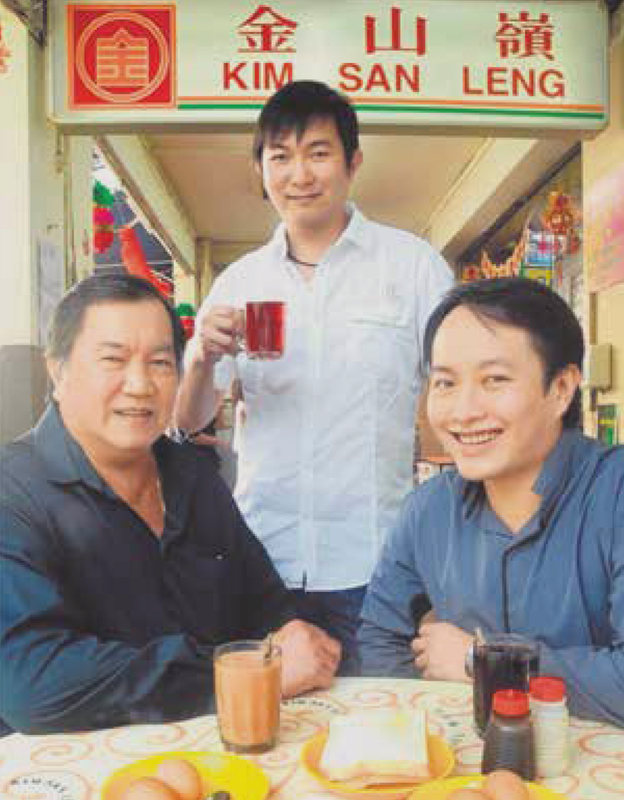 Mr Hoon Thing Leong would like Kim San Leng to establish itself as a century long business. Kim San Leng has already groomed 3 generations of leaders and at present, more than half of its outlets are already being run by his children.